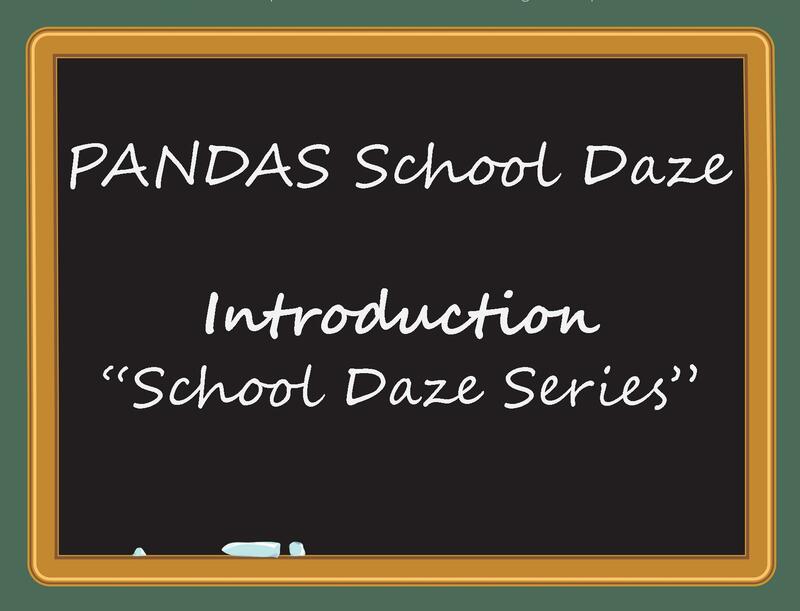 Lesson 1: Talking to the School…information you can give to school personnel to explain PANDAS/PANS and other important talking points. Lesson 2: Symptoms at School…how PANDAS/PANS might manifest during your child’s school days. Lesson 3: Impacts on Learning…why schools need to care about PANDAS/PANS and how the condition may affect child’s educational career. Lesson 4: Real Strategies to Use…actual strategies teachers and parents reported as having the best effects for PANDAS/PANS students. Lesson 5: Making It Better…what parents said when asked what schools could to to make the school experience more positive for PANDAS/PANS families.